Jenna Leiker - Allen Bailey & Associates, Inc.
Jenna joined Allen Bailey & Associates, Inc. in September of 2010. She serves as the Director of Finance and Resources for the firm and specializes in AB&A internal accounting as well as marketing. Prior to AB&A she worked as a marketing manager for a branch of PrimeLending. Jenna has experience with The Complete Package (TCP) Software and statutory financial statement preparation. This includes annual and quarterly statement preparation, together with NAIC correspondence and submission. She is knowledgeable of NAIC requirements and procedures and provides financial statement preparation support to the actuaries in these areas. In addition, Jenna serves as a compliance analyst with experience including: filing policy forms and rates, submitting rate increase filing requests, as well as support preparing actuarial documents needed for policy form and rate filings. 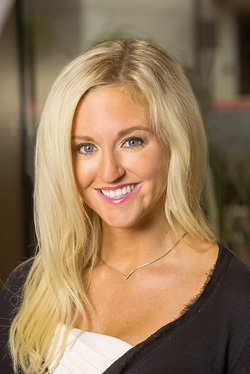 Jenna received her Bachelor’s Degree of Business Finance from the University of Texas, Austin in 2007.